Here are 5 golf tips to help you play your best season yet so your days on the greens are never a swing and a miss. Spring is finally here and it’s time to dust off the irons and hit the greens for another season of sand traps and scorecards. But before you dive headfirst into the game without warming up with the weather, finding the right golf tips to help you get back in the swing of things could make all the difference in your game. From form to follow-through, you’ll be ready to do more than talk a good game with these handy golf tips. Being conscious of your address position before the swing will help you drive the ball down the green and orient your mentality. It may seem like a no-brainer, but your position may be off after months of not playing. Feel the stance. Set up with your feet shoulder-width apart, and let your shoulders be open and perpendicular to your spine. 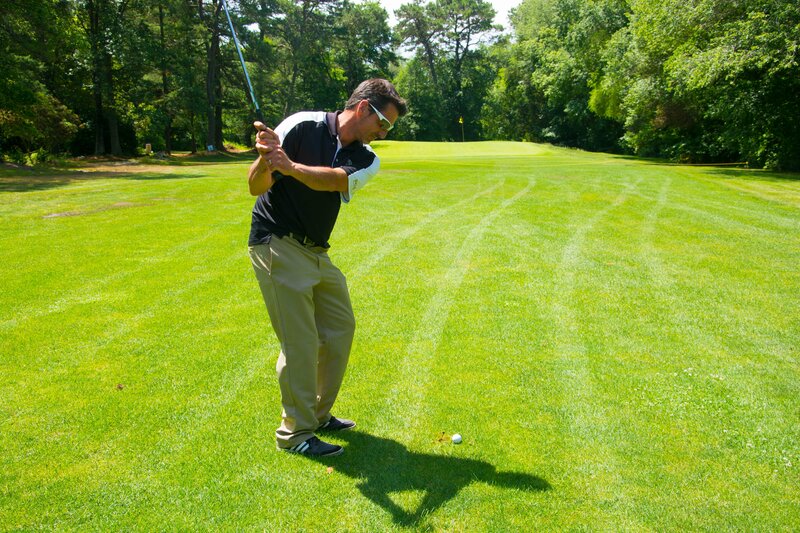 If you haven’t been practicing your swing in the offseason, it may be off when you step back on the greens. It’s important to remember your arms don’t do all the work in your swing; the power comes from your entire body. You want your body to turn with the swing and release on impact. The swing sequence preceding the takeaway is an important work up to contact with the ball. You want your hands and arms to be in sync with your hips and upper body as you turn into the swing with your lead arm relaxed and in an extended position. The downswing is hailed to be a critical part of your swing. You want your hips to follow the shoulders in one fluid motion and let your weight shift towards the left foot. Your downswing should be faster than your backswing as to cut down deceleration of the ball after contact. Good form leads to muscle memory which will serve you in your swing. Contact with the ball isn’t the most important part of your swing, however—it’s what comes after. Hands, arms, legs, and hips need to work together fluidly and come through the shot in the follow through over the shoulder. The tip of your right foot should just be touching the ground with your left foot not moving from its position. A strong follow through will help you hit the ball more consistently. Ready to hit the greens? Play a round of 18, and stick around for a cold one at Eastlyn Golf Course & The Greenview Inn at 4049 Italia Avenue in Vineland, NJ. We offer the perfect venue for a golfing excursion, whether you’re looking for a tournament or an afternoon out on the links. Learn more about membership opportunities and rates, and be sure to follow us on Facebook for more golf tips this season.